Scientists have long known that atmospheric carbon dioxide is closely linked to climate change. Studying ice age cycles, carbon dioxide increased during warmer times and reduced during glacial periods. When carbon was stored in oceans during these glacial periods, oxygen levels in the ocean were supposed to decrease. However, there weren’t sensitive and reliable methods to measure such changes. Until now. In research published in the Oct. 18 issue of Nature, Syracuse University Earth sciences Associate Professor Zunli Lu and Babette A.A. Hoogakker, a research fellow at Heriot-Wyatt University, Edinburgh, UK, and other colleagues reconstruct oxygen levels in the Pacific Ocean during the last ice age 20,000 years ago. Their paper, “Glacial expansion of oxygen-depleted seawater in the eastern tropical Pacific,” demonstrates that the respired carbon reservoir of the glacial Pacific was increased, confirming this mechanism as a contributor to lower levels of atmospheric carbon dioxide during these periods. Lu and Hoogakker focused on what’s known as the oxygen minimum zone, or marine dead zone, which hangs below the sea surface. Lu describes it as shaped like a tongue sticking out on the continental shelf. As more and more carbon dioxide was transferred from the atmosphere into the ocean by marine planktons, oxygen in the water is reduced. “The marine dead zones may expand as climate change continues to happen so there is a growing interest in understanding their evolution in the past,” says Lu. Central to the team’s research was the use of a dual-proxy approach to constrain the geometry of the marine dead zone. In 2010, Lu pioneered a proxy based on iodine geochemistry that measures the ratio of iodine to calcium concentrations in calcium carbonate minerals and fossils, and is valuable for studying the upper portion of the marine dead zone. Hoogakker developed another proxy method that uses the stable isotope value of the carbon atoms in the fossil, which is useful for studying the bottom portion of the marine dead zone. Other researchers have long been hypothesizing that the dead zone either disappeared or moved to the deep ocean during the glacial periods. The dual-proxy approach in this new paper showed a very different picture—that these dead zones expanded downward. “So, marine dead zones die another day”, Lu describes what flashed through his mind when looking at these results. This is Lu’s second major publication this year. 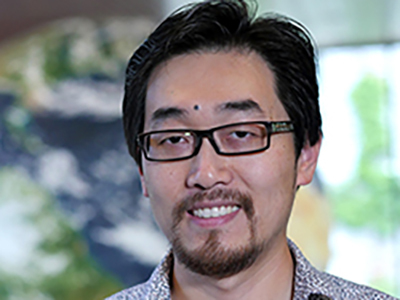 In May, his research on causes and impacts of long-term increase in ocean oxygenation during the current Phanerozoic Eon was published in Science.